Ready to conduct your very own hopscotch tournament? 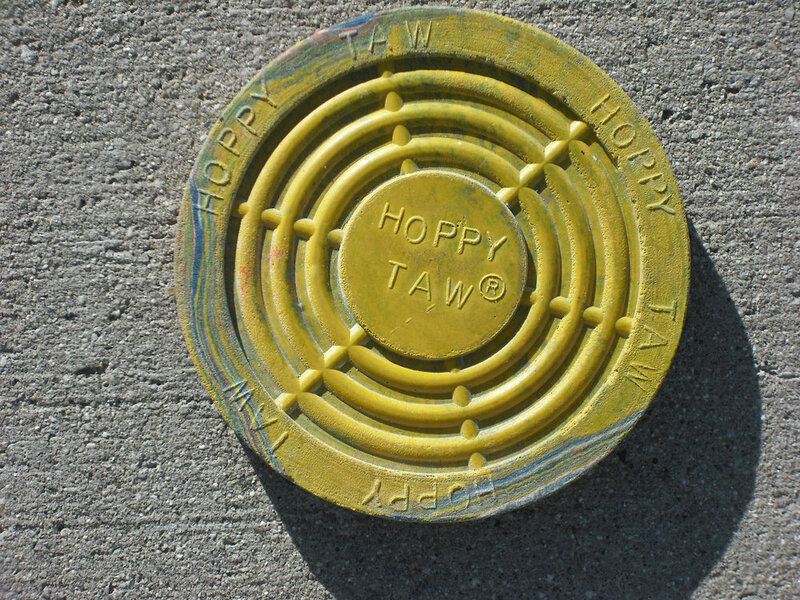 Hopscotch is the World's number 1 Playground Sport and nothing works better than Hoppy Taw®! No need for rocks that bounce and roll away. Hoppy Taw® flies true and grips when it hits. It's made in the U.S. of safe resilient rubber. It's non Toxic.